As you may well know, I love supporting the young talent that SA plays home to and I am excited that the NSA Festival of The Arts is heading our way at Joburg Theatre from Tuesday 6th – Sunday 11th March. The festival is headlines by an Afro-Punk styled Macbeth – which is set to be awesome! Featured alongside Macbeth in The Fringe at Joburg Theatre is I Love Jozi while Dear Brain is scheduled in the more intimate Space.com, also at Joburg Theatre. “The Fringe Theatre is perfect to showcase these two compelling productions. Both Macbeth and I Love Jozi enjoyed seasons at the NSA in 2017. 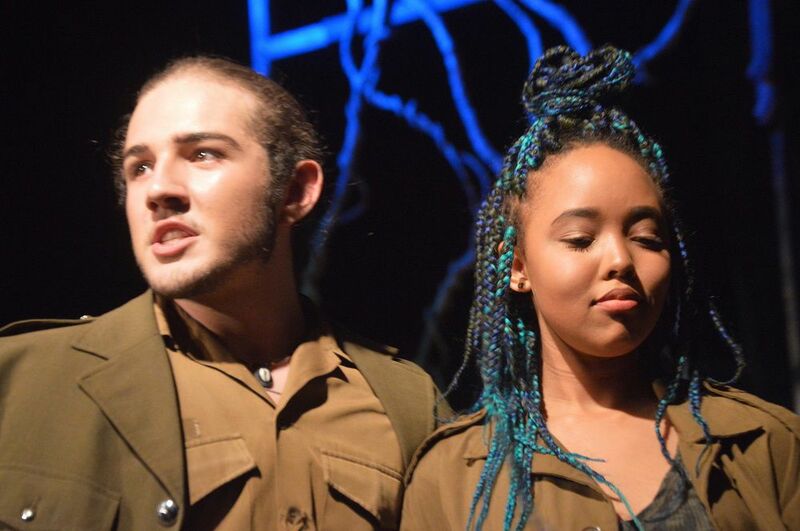 The artistic management of the school recognised that both productions were highly deserving of a return season during Festival”, said Brenda Sakellarides, the current Chairperson of the School Governing Body. 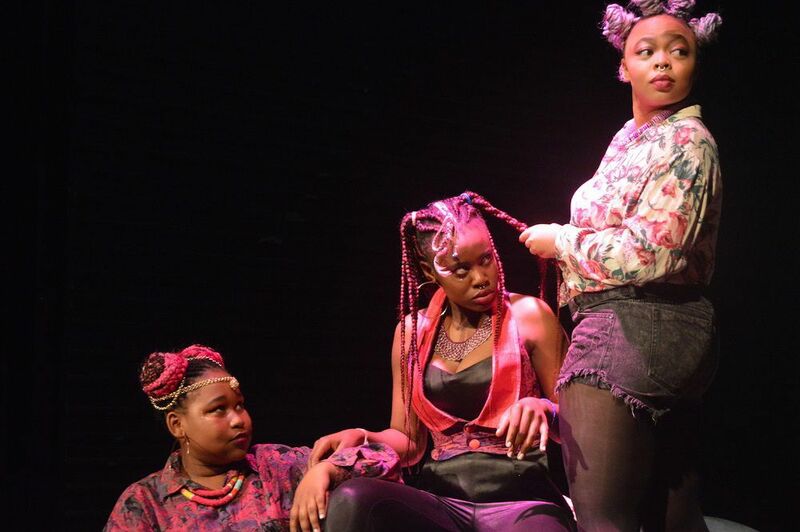 Playing to schools audiences during the day and with three special evening performances, the Afro-Punk styled Macbeth is set in a dystopian, post-apocalyptic South Africa. Directed by Laine Butler and Johan Anker and running at 90 minutes, Macbeth will transform The Fringe Theatre at The Joburg Theatre into a landscape of power struggles and corruption. Watch good disappear under a cloak of evil as a celebrated soldier and military strategist loses his moral fibre when prompted by the forces of darkness. This is the dubious world where “fair is foul and foul is fair” and the pursuit of power leads to corruption, manipulation and moral decay – this is the world of Macbeth. Macbeth plays on Tuesday 6th, Wednesday 7th and Thursday 8th March at 7:30pm with additional afternoon performances from the 7th – 9th March. Facilitated and directed by Laine Butler and Malcolm Purkey, one of South Africa’s finest theatre-makers and crafters of South African stories, I Love Jozi explores the narratives of Joburg, both fictional and biographic. I Love Jozi opens an impactful window onto the City of golden opportunities from the perspective of the youth and features the current Grade 10 NSA drama learners. Funny, heart-breaking, revealing and relevant, I Love Jozi offers a fine tapestry of characters and situations for young performers to interpret and bring to life. I Love Jozi runs in The Fringe from the 7th – 9th March at 9:30am. Dear Brain plays in The Space.com daily from the 7th – 10th March. “These productions show the depth and versatility of the young NSA drama learners who are ever bold in their creative choices. I look forward to seeing them on the boards of The Joburg Theatre during Festival, no doubt we will watch many of these promising performers on stage and screen for years to come as their careers unfold and prosper” concluded Sakellarides. Ticket prices for Macbeth, I Love Jozi and Dear Brain are just R90 per person and can be purchased online at www.joburgtheatre.com or Webtickets or by calling 0861 670 670. The National School of the Arts wishes to acknowledge the funders of our annual Festival of the Arts; RMB Fund and the National Lotteries Commission without whom this important festival would not be possible.